Welcome to Compassionate Sunday. 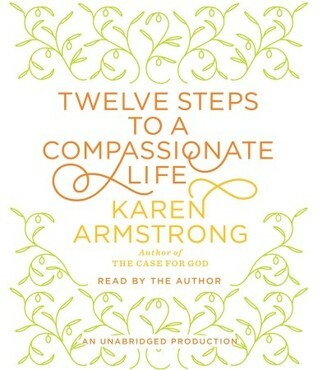 We’re working through Twelve Steps to a Compassionate Life by Karen Armstrong, one step per month. If you live in the St. Louis area, an in-person study group started working with this book and will continue for the next few months. Let me know if you’d like to join us and I’ll you hook you up! If you’d like to share a post about what you learned about compassion (The First Step), what you’re seeing in your world (The Second Step), self-compassion (The Third Step), empathy (The Fourth Step), or mindfulness (The Fifth Step) use the link list below. Or join the discussion in the comments or on Facebook. It’s the last Sunday of the month. That’s the day that I take a piece of advice from the Reading Group Guide found on the Charter for Compassion’s website: to resolve to introduce one new practice into my life, an action that will be “a dynamic and positive force for change.” At the end of the twelve months, I’ll have twelve new compassionate habits. All month, I’ve been wondering what habit I could take on for the Fifth Step, Mindfulness. I’ve been more mindful this month because it was the theme for the month. But that won’t last if I don’t have some structure to support it. A few days ago, I re-discovered a structure that I know will work: Morning Pages. If you’ve ever been exposed to Julia Cameron’s The Artist Way, you know about Morning Pages — three journal pages handwritten first thing in the morning to process whatever your mind wants to explore. I wrote Morning Pages in black sketch books for years. I have a stack of 44 of those books sitting in my office. Then, I stopped for a long time. Then, I used 750 Words for more than a year. And, then, I transitioned into an approach where I use a Word file to log my day. That’s working for me, but it doesn’t quite give me the moment of mindfulness that I got from Morning Pages. It’s unlikely that I will do all of these every day, but I would benefit from a moment when I ask myself if one of these activities, or something similar, would help me. That moment, the last few days, has been as I write Morning Pages for a half hour or so to start my day. Rather than simply free-writing, most mornings I’m choosing from a list of tools or exercises that I know work for me. Friday morning, I used the Head Office exercise to help me process the unexpected fear that arose after the surprising success of Brexit. Another morning, I worked the Serenity Prayer when I was feeling overwhelmed. I figured out what I couldn’t change in order to accept it. Then, I figured out what I could change in order to make a plan that reduced the overwhelm. So, my new habit for Mindfulness is to write Morning Pages. What habits work for you to increase Mindfulness?